Snorkellers who have experienced the joys of diving in Cabo de Palos claim that it is the best place to dive in Spain – if not the whole of Europe. With water temperatures of 14 degrees centigrade in winter and 25 degrees in summer, diving is possible all the year round. Covering nearly 2,000 hectares, the marine reserve of Cabo de Palos was nominated a Specially Protected Area of Mediterranean Importance in 1995 because it provides a home for different kinds of flora and fauna, many of which are unique to the area. The location of the marine reserve on the open seas, with its underwater currents, brings in an abundance of marine species with larger species following their food source. Apart from flying fish and various species of groupers, those snorkelling in Calo de Palos will be able to see a variety of blenney, bream, bass and shoals of the colourful rainbow wrasse. Sighting of Moray eels, octopus, barracuda and red or golden grey mullets are common in the waters of the marine reserve. Bottom-dwelling species like nudibranch, sea urchins, sponges and starfish can also be spotted during a dive. Although the area around the Isla Hormigas is restricted to marine biologists with a research licence, there are plenty of sites nearby which can be reached in 10-20 minutes from the port by inflatable boat. Many of these designated diving locations have underwater pinnacles, and the seabed is rocky in places. These rocky escarpments are covered in coral like the brightly-coloured and fantastically-shaped Gorgorian and purple polyps. Much of the diving in Cabo de Palos follows a natural incline though few exceed 45 metres. In order to limit the potentially detrimental effects of humans on the marine life, there are certain rules in place. These include snorkelling in Cabo de Palos being restricted to a maximum of 1 hour. Diving guides are available to answer any questions about what is permissible. Apart from enjoying the magical marine wonderland, experienced divers can also visit two shipwrecks in the area: the 1906 cruise ship ‘Sirio’ and the wreck of the cargo ship ‘Naranjito’ which sank off the coast in 1946. Snorkelling in Cabo de Palos is an experience which should not be missed by anyone who wants to explore this marine paradise from up close. 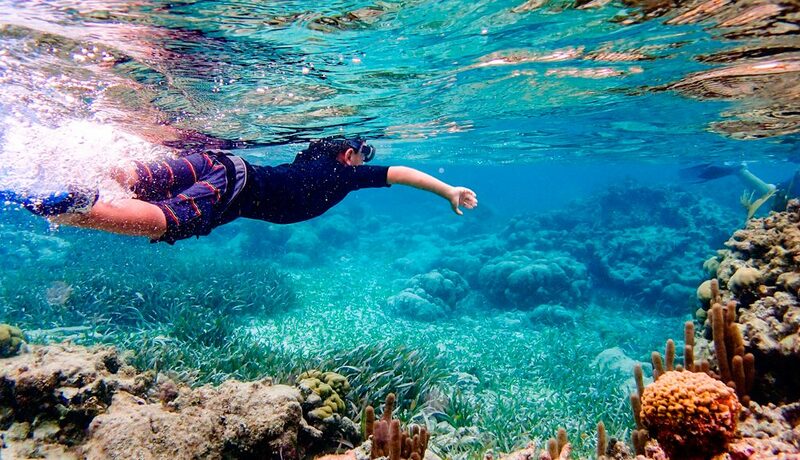 With its crystal blue waters, clear visibility and sheer variety of marine life, it will leave even veteran snorkellers open-mouthed in wonder and keen to go out again.